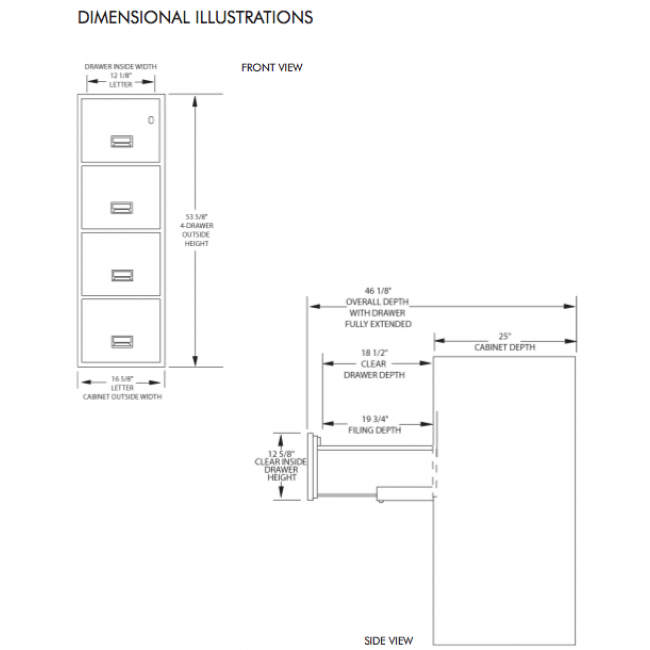 Sentry 4T2531 4 Drawer Letter Fire/Water/Impact Rating w/ Digital Media Chest! 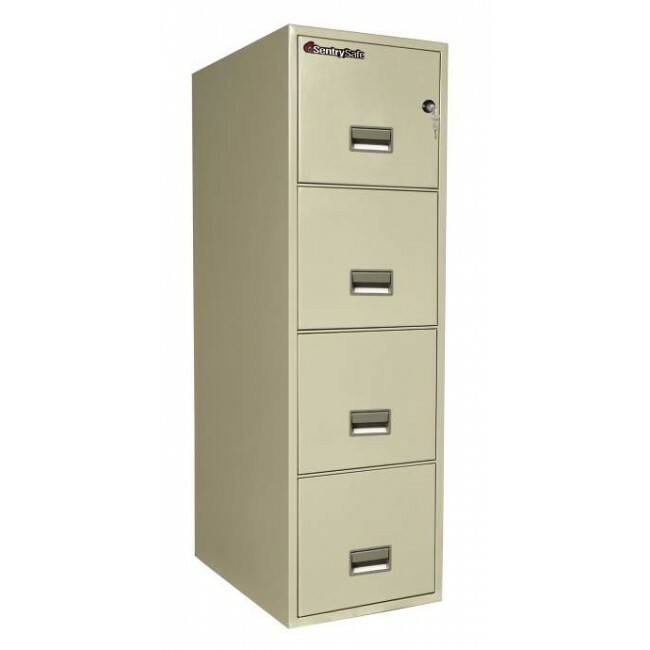 This Sentry vertical letter size file cabinet has some of the best features in the industry. 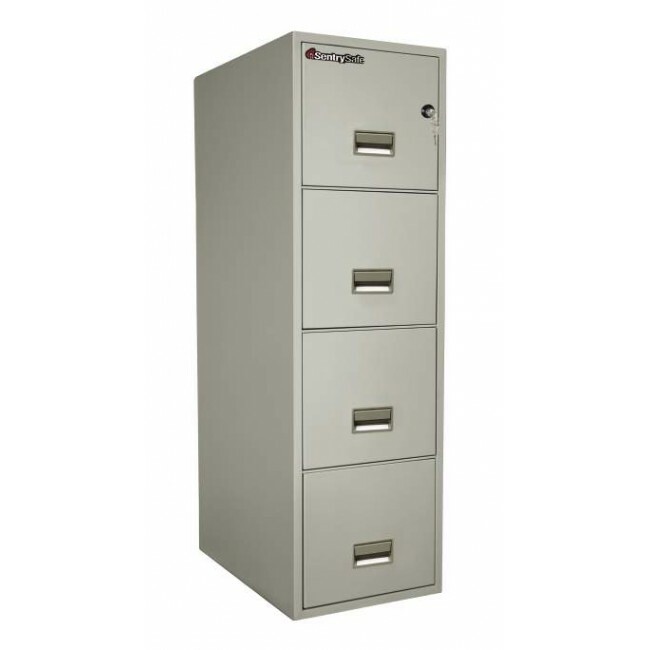 The 4T3131 four drawer file has a one hour UL fire rating and the highest UL rated combination lock available (drilll resistant). The 4T3131 also has passed the UL impact test (dropped 30 feet) and explosion hazard resistance test (when exposed to sudden high heat). In addition, the 4T3131 has water resistance. 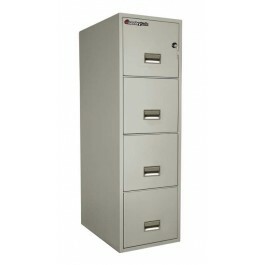 This file cabinet is sealed to be resistant to one hour of sprinkler or water spray. 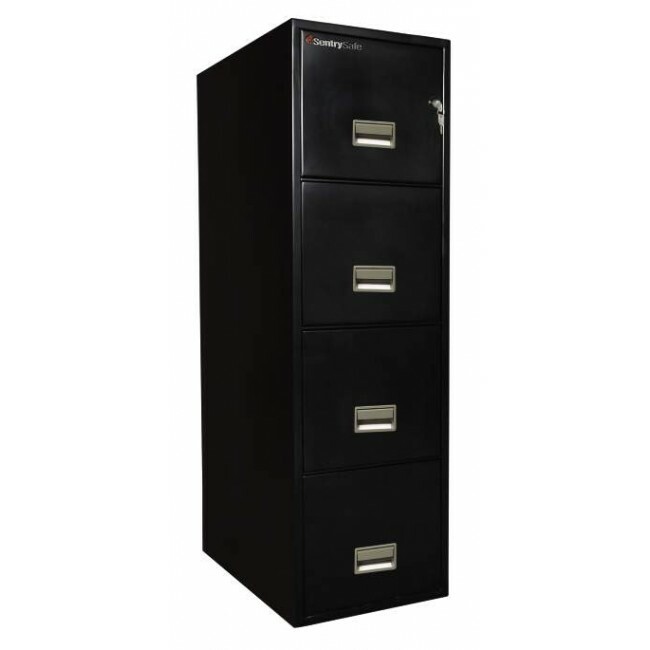 The file cabinet is designed for letter sized documents. Sentry includes the small fire chest (1100) for protection of hard drives, USB drives, CDs, DVDs memory sticks and other digital media. This is one of the best files available for all round protection. See photo.